7 Day Juice Pal is an easy-to-use 7 Day Juice Diet Plan. With extensive libraries, tools, and full nutrition tracking. Do you love to stay healthy with Juice Diets but find that it can become a burden to organise & keep track of everything? Do you wish there was a simpler & easier way to do this? Well it seems you have found the perfect app! 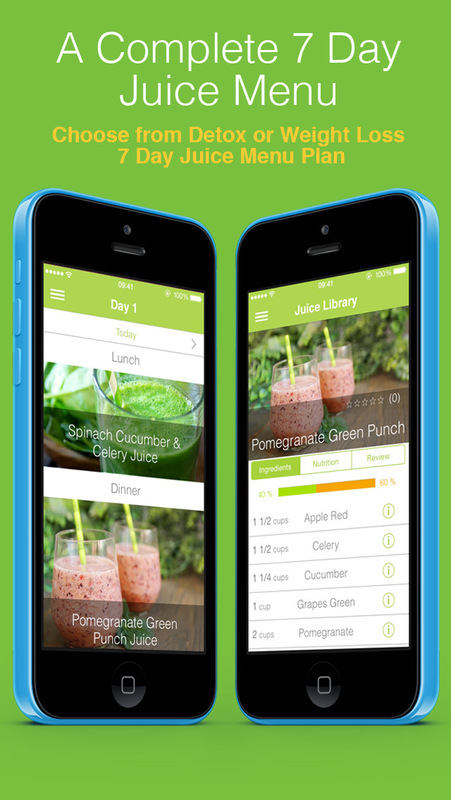 7 Day Juice Pal is the complete all-in-one juicing app. A Juice Diet has many benefits; its an excellent way to lose weight, detoxify, increase energy and improve overall wellbeing. In the form of a liquid diet and without the insoluble fibre the fruit & vegetable nutrients can quickly and 100% be absorbed into the body. 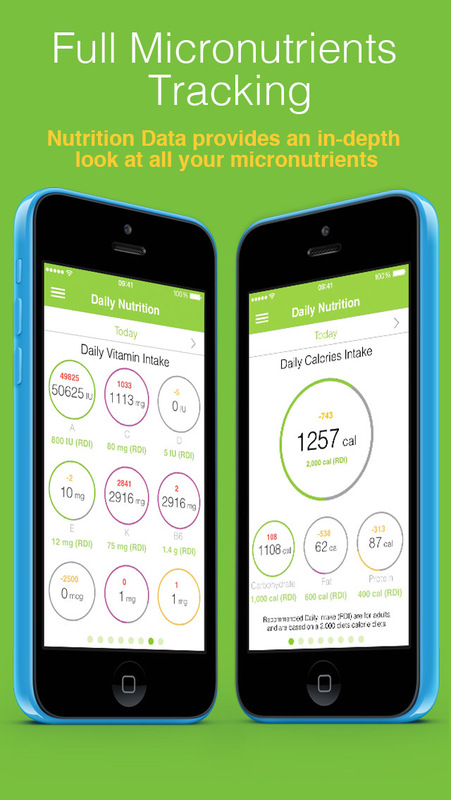 The Nutrition Data provides an in-depth look at your total daily micronutrients intake while on the 7 day diet. With a daily glycemic index, glycemic load charts along with water content, calories, carbohydrates, sugars, fats, vitamins and minerals found in your daily juice recipes. You'll also be able to easily calorie count your daily intake while monitoring your weight loss. Achieving your Health, Fitness and Weight Loss goals is easier when you have support from friends or family. To access the app social tools, simply create an account. Once created you’ll be able to add friends and family, send them messages and follow there daily journal. 7 Day Juice Pal App allows you to instantly share your successes and your challenges with friends and followers on social media, so that you can get encouragement to continue your healthy Detox Diet or Weight Loss Diet. Every menu plan comes with a complete shopping list that will help you stay organised. Choose between a daily or weekly shopping list, whichever is better suited to your shopping habits. You can also easily customise the list by adding or deleting ingredients you already have. Two separate 7 day juice menu plans for you to choose from, Juicing for Detox and Juicing for Weight loss. Both specifically designed by our nutritionist with up to 15 different juice recipes per week, per plan. But if you have a different focus for your juicing experience you can easily purchase a new 7 day juice menu plan from a collection of nine, via the In-App Purchases. Every 7 day juice menu plan are tailored to suit your personal juicing goals. Registered users are able to access the content from any of their iOS devices, and access the app social tools. - 7 Day Juice Menu Plan for Weight Loss. - 7 Day Juice Menu Plan for Detox. - Add friends and share your success. - Daily Journal to track your juicing experiences and share with friends. - Messages to keep in contact with your friends. - Weight Diary to chart and monitor your progress. - Custom Meal Reminders with notifications. - Fruit & Vegetable Library with description, health benefits and complete micronutrients info. - Juice Library with recipe, complete micronutrients info and reviews and ratings. - Supports UK, US and metric units.